Ahhhh.... Propeller! The beloved first of the Guided By Voices cannon to take the cake. The first to create waves around the underground at the time... The LP that saved the day! Or did it? 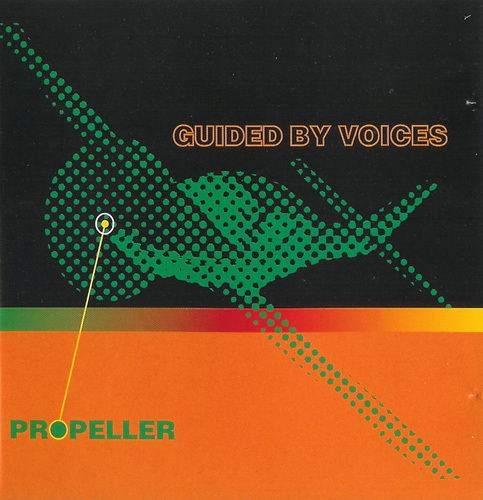 As legend goes, Propeller was to be the final GBV LP, as Robert Pollard had decided to pack it in and take over his responsibilities as fourth grade math teacher in his mid-30's. The rest of the band and friends would move on to. Undoubtedly, they would continue to reconvene and drink cheap beer every weekend in the same spot, but ultimately planned to put to rest this fantasy band. Propeller was half recorded on Steve Wilbur's 8-track, as is evident with tracks such as "Quality of Armor." However, the LP also employed the home roots technique of embracing the 4-track cassette recorder, which would become apparent on GBV's subsequent EPs of the next few years, and their next 3 LPs. The story also goes that in the midst of folding the Guided By Voices project, Pollard wrote "Exit Flagger" and raced over to Tobin Sprout's house to show him his song. The two laid down the song, Pollard hammering away in sloppy fashion, as the tape rolled. When the song was finished, it would be a Guided by Voices classic. 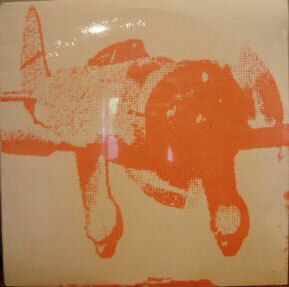 The first 500 LPs were released with individual LP artwork, hand-crafted by band members. In the mid-2000's an original Propeller sold on Ebay for $6200. This was the LP that cracked the mold. The best? Some say. The first to place pull the sword from the stone. Undeniably. Over the Neptune/Mesh Gear Fox- 5 “ALRIGHT. ROCK AND ROLL.” It was with this introduction that GBV and Pollard blew the doors off the hinges into an unstoppable reign of basement brilliance over the next few years. The stadium chants of “GBV! GBV” would soon resonate in legitimate clubs around the country. But wherever I am, the intro still gives me chills as it breaks into the multi-sectioned, multi-layered duel opener. “Over the Neptune” part is one of the best pop songs with balls that Pollard had ever done up until this point. “Mesh Gear Fox,” is multi-sectioned in itself, seamlessly gliding in between heavy hitting, balladry, and sway-back and forth arena rock. While Pollard and the boys made a career out of generally concise rock songs, at nearly 6 minutes this is anything but. Amazing. Weedking- 5 Moody, psychedelically paced, harrowing, and brilliant. Everything you would expect from a song titled "Weedking". Top-notch cryptic lyrics. Particular Damaged- 3 Guitar, bass and distorted Pollard vocals meander through some trippy guitar buzz. Not much of note here after 2 dizzying tracks to open the album. Quality of Armor- 5 Streamlined, 4/4 garage punk. The music is not brilliantly original, but what a song. Huge, epic and catchy choruses. Fist pumping verses lathered over by the never-ending guitar distortion barrage. Metal Mothers- 4 Relaxed, mid-temp song with easy, effortless hooks in the verses. Classic GBV interplay here between Mitch Mitchell and Tobin Sprout. Lethargy- 3 Strange, ominous song with trudging repetitive bass, crashing stomps, and swooped in guitar distortion. Classic off-the cuff late night basement jam stuff before the discography became saturated with it. Unleashed! The Large-Hearted Boy- 4 Simple tune, in the “Quality of Armor” format. Bass sound thinner than a razor. Guitars more slopped up than a school lunch. Strained Pollard vocals carry the simple hooks. Red Gas Circle- 4 Intimate acoustic number, with perfectly balanced melodies atop distant distorted guitar strums toward the close. Exit Flagger- 5 A beyond simplistic riff carries the entire tune with Pollard playing slap dashed drums. The basement epic to begin and end any basement reording discussions. Ominously themed, distorted brilliance. Smash your guitar over your bed. Home-recording a legacy starts with this very song. And what an ending too! 14 Cheerleader Coldfront- 5 Tobin Sprout penned tune with Pollard written vocals on top. Both members harmonize on this beautifully sad, and bizarre tune that should be sung by any self-respecting human at full volume from a rooftop at least once a year. Back to Saturn X Radio Report- 3 Composed of chopped up portions of GBV songs, including a slower version of what would become “Buzzards and Dreadful Crows.” A weird, collage of great ideas, some later released in full fruition. Dizzying, and impressive in the fact that there’s so many awesome snippets to behold. Ergo Space Pig- 4 Distorted guitar barrage leads into drum break and novice ‘70s proggy solos. Strange, great tune. Circus World- 3 Lackadaisical tune, with bizarre lyrics with some fantastic imagery. But that’s pretty much the centerpiece of the song, hence the title. Not much to write home about in the way of any great musical exploration or melodies. Oh, well there is a big solo that could be played on the hood of a car in a music video. Some Drilling Implied- 4 This tune is simultaneously lo-fi and impressively large sounding. Hammering away at a distant fuzz, with Pollard’s cathartic, desperate vocals melodically shouted over the steady chaos. On the Tundra- 4 ‘60s inspired guitar jangle presented at mid-tempo. Great, easy to swallow vocal hooks from Pollard. 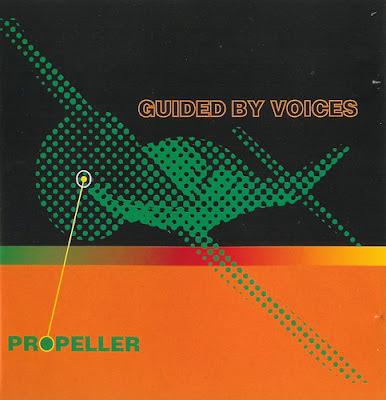 A fantastic, airy finish to the first truly great album of the GBV catalog. "Over the Neptune/Mesh Gear Fox"....unbelievably good.